With over a hundred varieties of pasta in existence, Italian pasta really is a true art, with each variety created to be paired up with a certain kind of sauce. 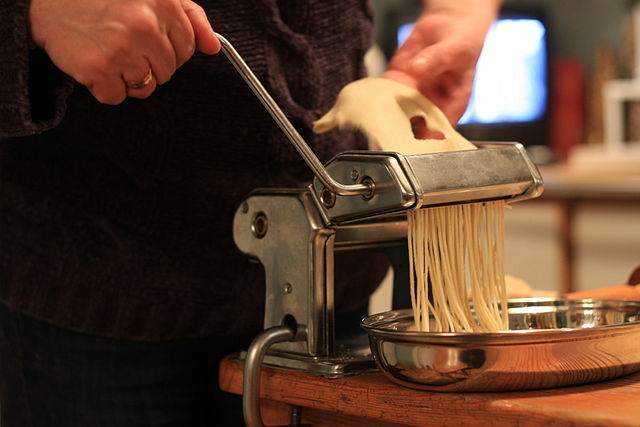 Cities all over Italy offer pasta-making courses, from getting the right combination of ingredients to rolling it out and making the pasta into perfectly formed shapes. You’ll also learn to match pasta with other ingredients such as meat, vegetables and sauces. Coffee is part of the Italian way of life, and you’ll enjoy much of your time in Italy in a café or upon a terrace sipping on a cappuccino. You can also learn how to brew your own perfect concoction of coffee at places such as Florence’s Espresso Academy, which offers basic, intensive and café latte art courses. For those who are in serious pursuit of the perfect coffee, at the Florence Culinary School you can take up to four weeks of lessons, or even take part in a barista internship. The perfect foodie activity if you’re visiting Tuscany or Umbria out of season, truffle hunting is a traditional Italian countryside pastime, where you’ll get to search for one of the most prestigious and expensive ingredients available – truffles. On a truffle hunting tour, you’ll learn about different kinds of truffles and enlist the help of a truffle-hunting dog, who will sniff out these culinary treats for you. Some places will also give you the chance to put those truffles to use and enjoy a cookery class or a wine pairing. A typical holiday in Italy normally involves plenty of gelato eating, but you can also go one step further and try making your own. Gelato-making courses are offered all over the country, though perhaps the best are offered at Bologna’s Gelato Museum, which does everything from tasting sessions to classes in ‘gelatology’. During your time in Italy you’re sure to sample many locally-produced wines, though you can also go one step further and visit a vineyard. At the vineyards, you can not only go on tastings and learn to pair wine with dishes but also learn about how the wine is produced and the several varieties of grapes. There are also wine tour operators who create for you an itinerary of several vineyards in one area. Olive oil is one of the main foundations of Italian cooking, and with olive grove and olive oil tours you’ll be able to learn all about olive oil and how to make high quality extra virgin olive oil. On a tour of the olive groves, you’ll learn about the different varieties of olive and how they are pressed and made into olive oil during the harvest, with the Florence School of Olive Oil offering courses where you can learn to make your own. Making an authentic pizza complete with a wood-fired oven may just be the ultimate Italian culinary experience, and after learning how to make the real deal, you’ll never want to look at frozen or takeaway pizza again. Choose from an afternoon masterclass to longer week-long courses, where you’ll learn everything from creating pliable dough to putting together the best tomato sauce topping. One of Italy’s main indulgence is baked goods, from soft, fresh bread to sweet Sicilian cannoli and Tuscan biscotti. Several places all over Italy offer masterclasses where you’ll get to use fresh ingredients and create something truly special. There’s something for all levels, and even intensive courses on offer for those who want to master Italian baking. Home of classic cocktails such as the Martini and Bellini, there’s arguably no better place to train to become a bartending extraordinaire. Some places, such as Rome’s ‘Apericena’ workshop, also offer the chance to learn how to create finger food to serve alongside your creations, while if you’re serious about becoming a professional bartender, Milan’s European Bartending School offers four-week courses. If all the options we’ve listed sound appealing to you, worry not, as there are several cookery schools across Italy which allow you to bring everything together. Ranging from half a day to a week or more, you’ll learn how to create Italian dishes the traditional way, making the most of fresh, local ingredients.